Do you have a corrupted zip file? When you try to open it, it displays an error something like "Cannot open file: it does not appear to be a valid archive"?. 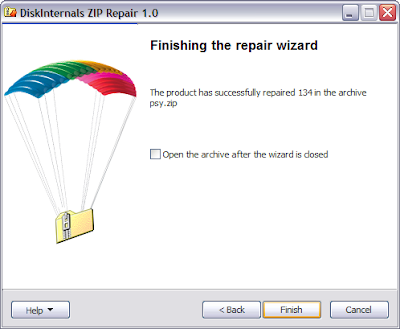 Don't worry, you can still recover it with DiskInternals ZIP Repair. 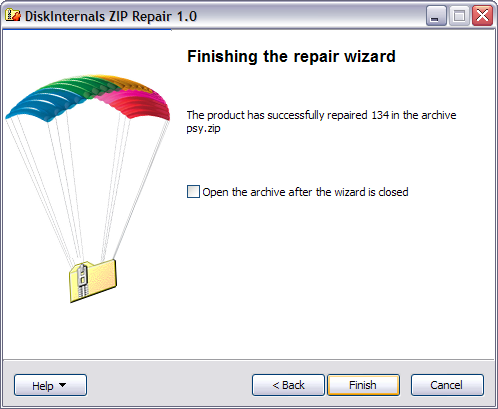 You can repair any damaged zip file by following the application's wizard. 1. First step is to specify the corrupted file and the output file. Hit Next. 2. On the second screen, you will be able to view the content of the corrupted zip file. Hit Next button again. 3. Last step is to hit Finish button to try repairing the file. 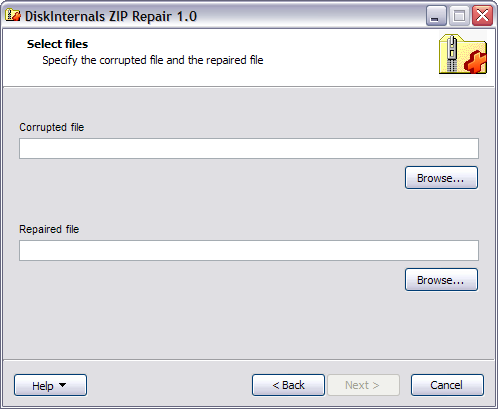 DiskInternals ZIP Repair works on any Windows versions including Windows 7 where I tested it.